The most comfortable summer sandal, my summer time go to with everything from florals, to metallic finishes, rope sole detailing. 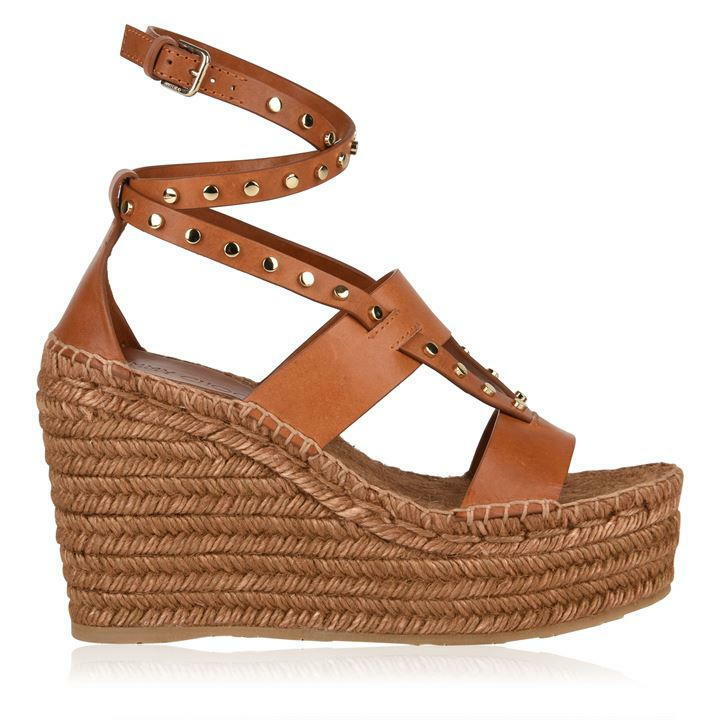 This season I love the jute rope finishes on a wide variety of wedge styles giving them an espadrille look. Invest in luxury footwear with these Danica studded wedges from Jimmy Choo. This pair are crafted with a multi strap detail to the front, buckle closure to the ankle and weaved wedge. Finished with gold toned studding across the straps, this pair are not one to be missed. Elevate your footwear collection with these Kerala wedges from Aquazzura. Crafted in a wedge design, this statement pair boast a weaved sole, an ankle buckle closure and a weaved foot strap. Perfect for your summer attire, this multi tonal pair would make a welcome investment piece. 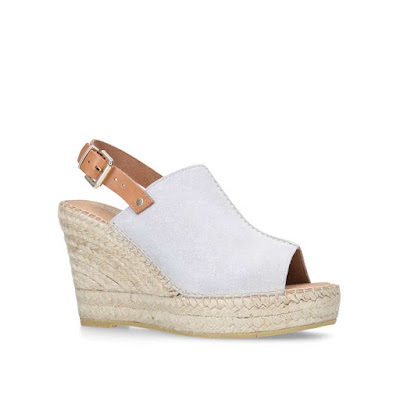 A wedged, espadrille platform sandals from Castaner with a peep-toe design. Crafted from leather uppers with a tonal suede panel across the vamp, the ‘Enea’ sandals feature an adjustable ankle strap secured with two capstan studs, a jute rope midsole and a rubber outsole for grip. Finished with branding to the leather footbed. Anchor warm-weather ensembles with our Ellen wedges. 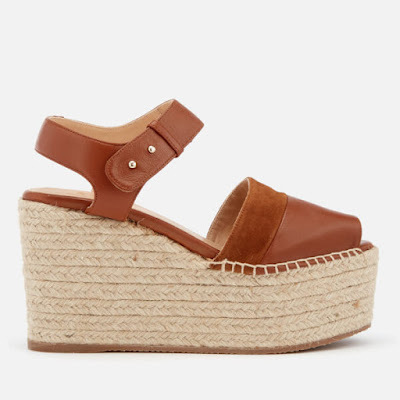 Set on a woven platform with studded trim, this smooth leather style offers a refined take on a bohemian sensibility. Crafted from metallic leather with a ruffled accent and jute platform, our Bella wedges redefine everyday glamour. Let them lend feminine charm to everything from denim to dresses. 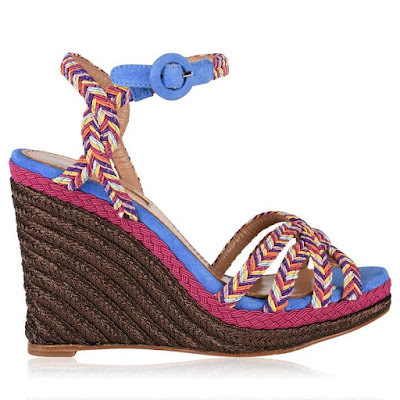 The Raquel platform pairs architectural metallic straps with a summery jute wedge. Gold leather tassels embellish the heel while a cushioning footbed ensures ease and wearability. 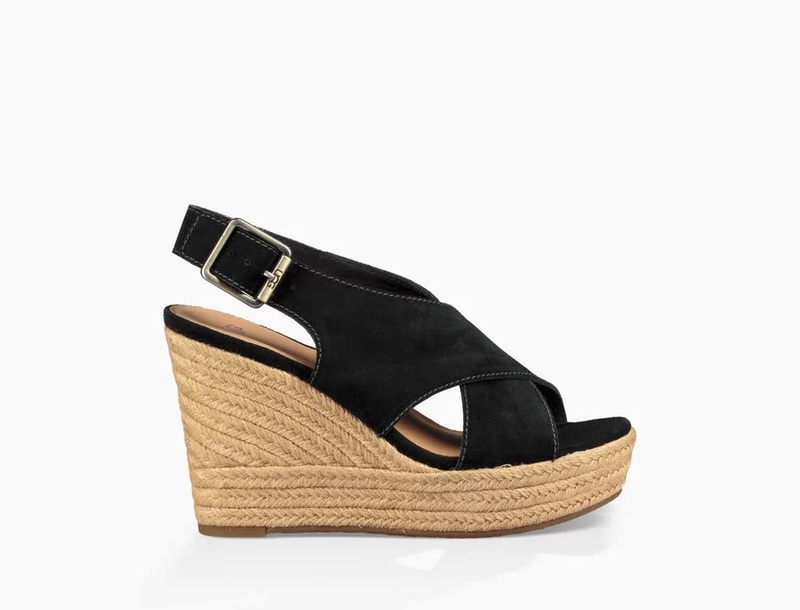 Coquettish and pretty, Kissmee by Carvela is the perfect summer heel with a 120mm wedge and a soft camel upper. The sleek construction and cork wedge keeps it light and breezy, making it the perfect shoe throughout the season. Perfect for anything from a summer BBQ to a day at the races, Carvela's Kloud sits on a traditional 100mm rope sole with grey suede uppers, stitching details and a bonus contrast slingback strap for easy balance.